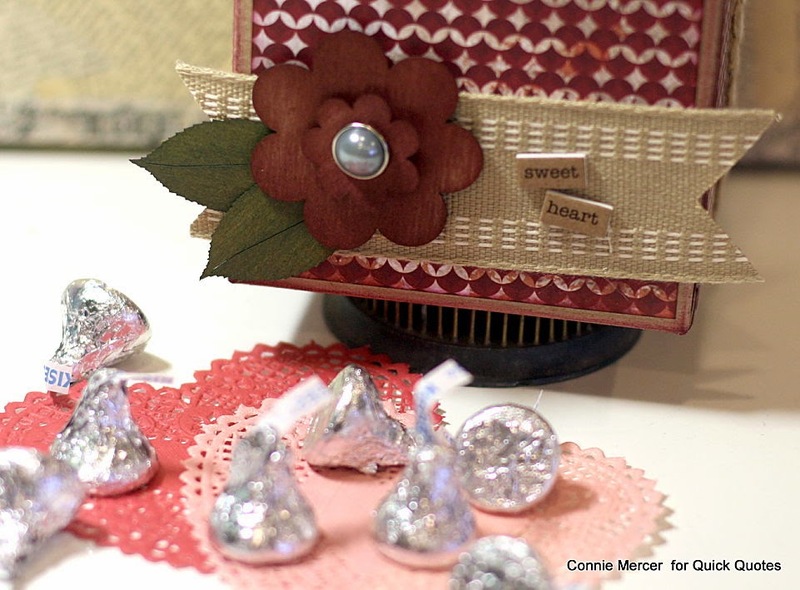 Blog Quick Quotes: February Club Q with Connie! February Club Q with Connie! 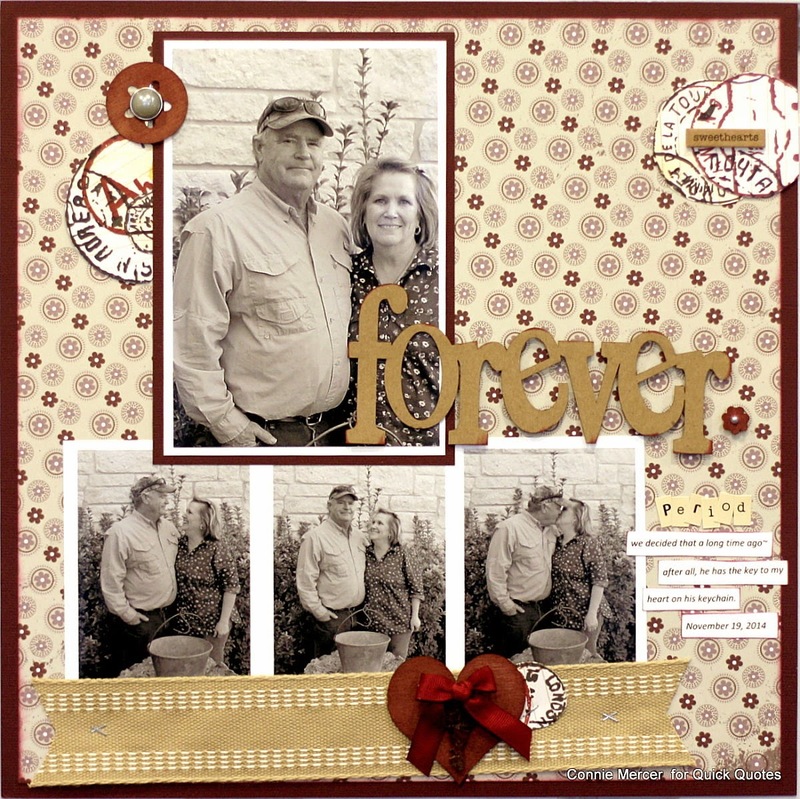 Hi, Connie here with a couple of projects using the February Club Q kits by Quick Quotes. The kit is full of pretty die-cuts and lots of pretty paper. I had a ton of fun and got my hubby's Valentine made! I started out with three boxes, all an inch difference in size. 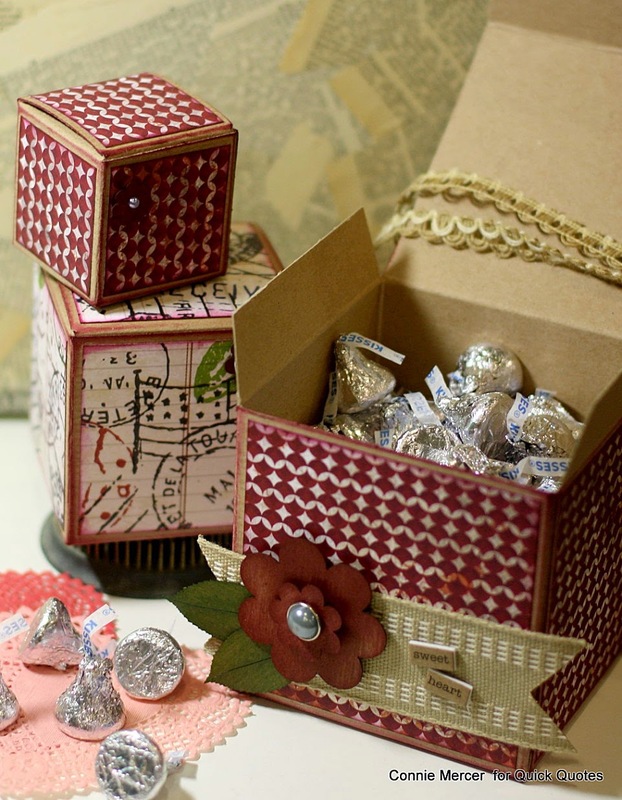 Example: 4"X 4", 3"X 3" and 2"X 2"
Take a 1/4" of each box and cut 6 panels of paper, for each box size. 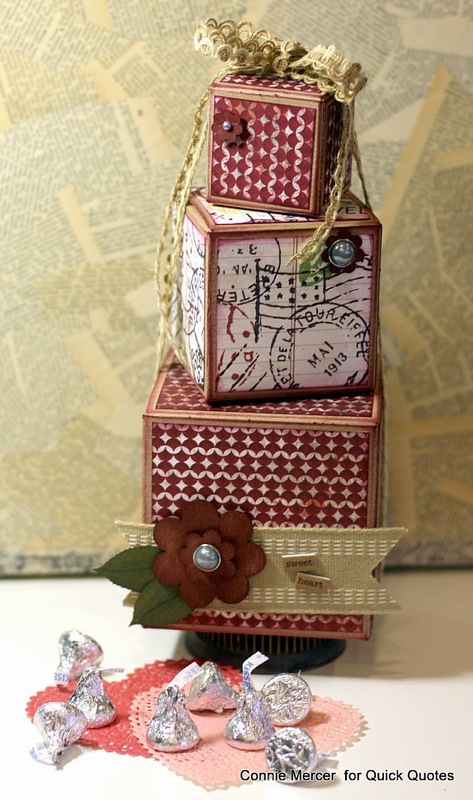 Example: large box, 3 3/4" X 3 3/4". Do the same for the medium and small box. Shade all the panels with Razz-berry PowderPuff Chalking Ink. Adhere each panel to the sides and tops of all three boxes. Color the chipboard flower with Razz-berry PowderPuff Chalk Ink and the leaves with Green With Envy PowderPuff Chalk Ink. Cut the trim and adhere flower to the trim. Connie, I love your creations. They are full of inspiration. The boxes are gorgeous. Thank you for sharing these with us. Hugs!